Are you new to hearing about ‘the Gu’ or are looking for something different to try? We have got you covered with 5 reasons to visit Canggu! 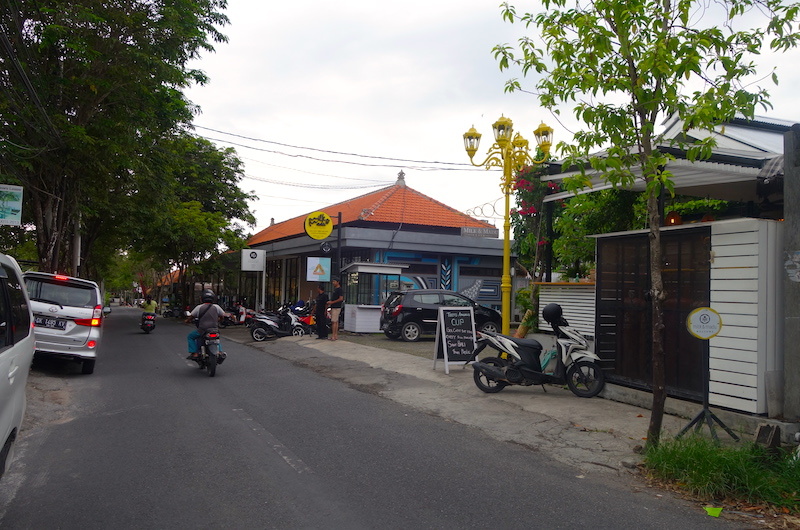 The trendy beachside neighbourhood, just next door to popular Seminyak has fast become the ‘must visit’ place of Bali. 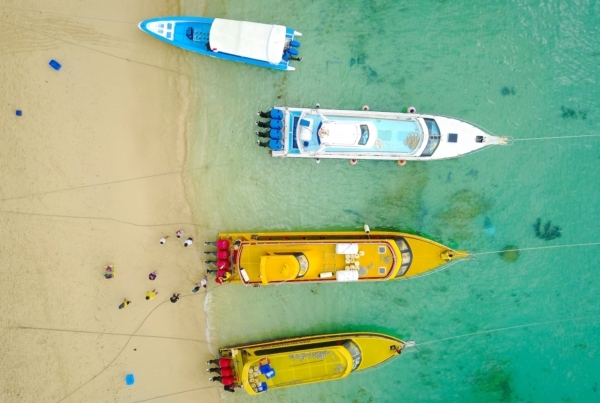 Seen as the hub for all things, surfing, food, nightlife, kids activities and shopping we can see why it has to be on your list of places to visit let alone stay for your next Bali holiday. 1. Start your day at a hipster cafe.. 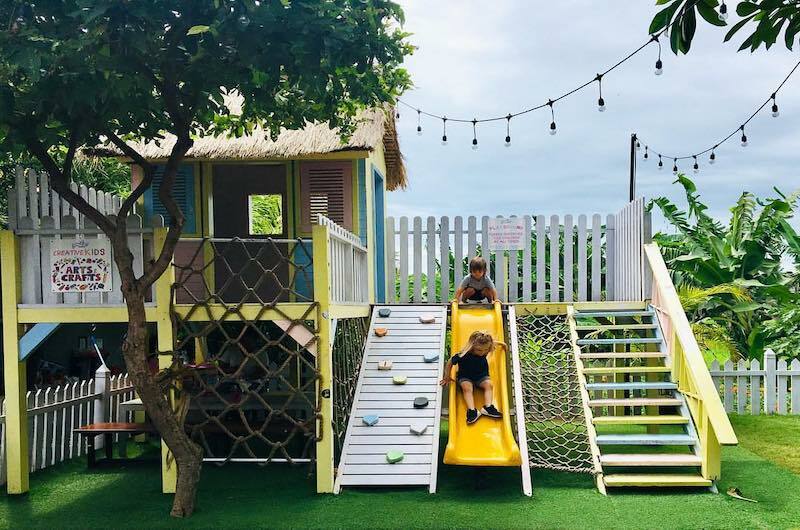 Milk & Madu have an outdoor play area that is perfect for toddlers and young children to roam free whilst you sip on your morning latte and indulge in a delicious disruption free eggs benedict. 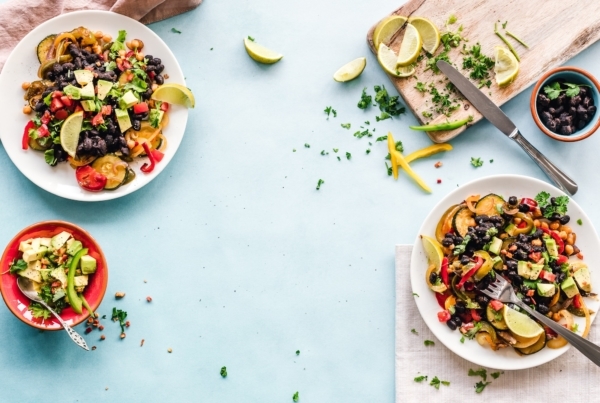 Plant Cartel is a 100% plant-based menu with locally sourced fresh ingredients. They basically are the go to for ‘fast’ fresh food that tastes great without bursting a button on your jeans. Choose from burgers, tacos, a bunch of sides – we recommend trying the Mac n’ Please or Zucchini Fries. 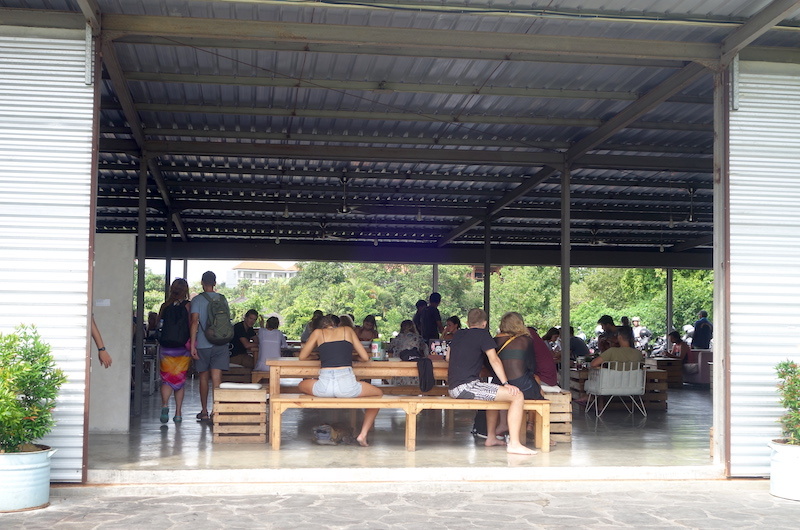 Our go to in Canggu for breakfast that reminds us of Bondi, but with the incredibly affordable Canggu pricing. Grab anything on the menu for breakfast and pay IDR 55,000 or $5.50 (approximately). We love their smoothies that are packed with flavour and their Veto plate – Smashed Avo + Feta + Salmon + Poached Egg + Cherry Tomatoes + Toast, oh and did we mention it is only $5.50! 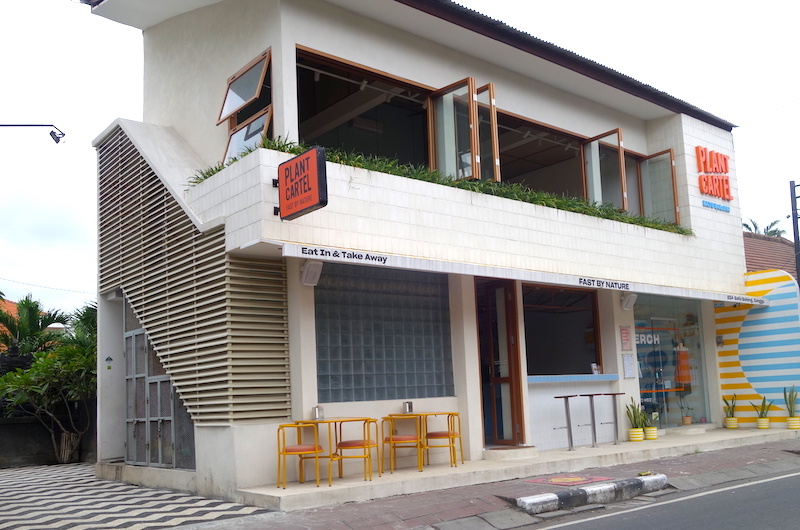 You really can’t go wrong with Crate Cafe, who have also recently added Crate Lounge, a modern designed space with chilled vibes overlooking the bright green ricefield whilst sipping on a Crate wine, T2 tea or cocktail. 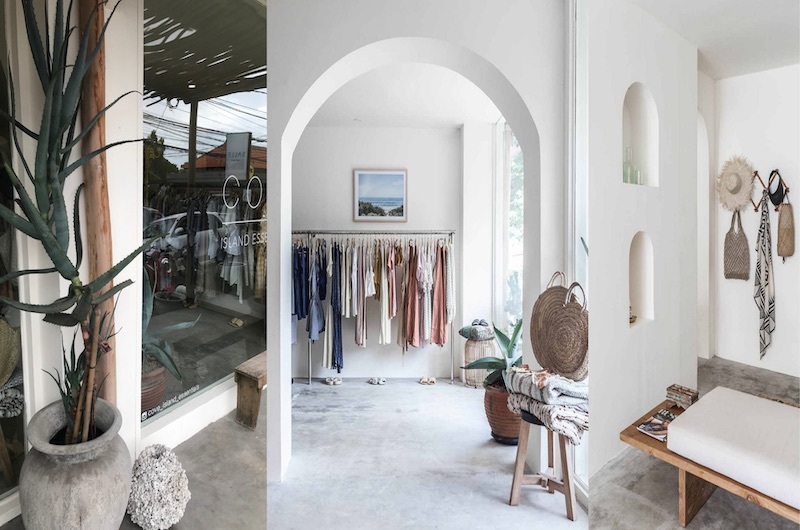 Canggu is bursting at the seams with new boutiques popping up, what almost feels like weekly. 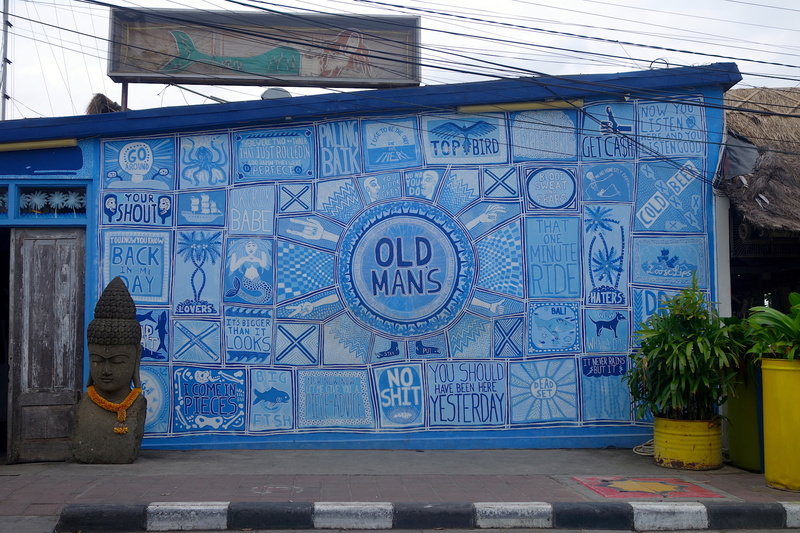 If you are looking for something in particular Canggu probably has it. We suggest the best starting point is Jalan. Pantai Berawa post breakfast at Milk & Madu. Located right across the road is the first of trendy boutiques like XO Activewear, Salle Swim and Cove Island Essentials. 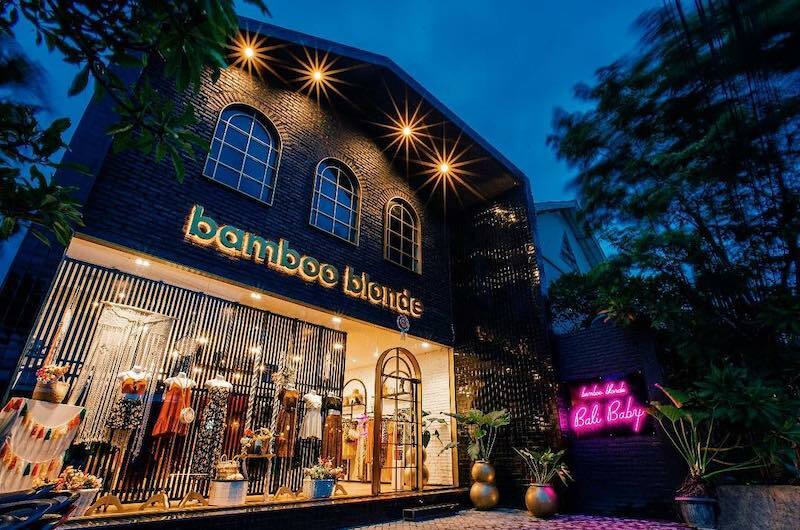 Keep strolling down the road heading west to browse kids boutique Indigo Kids, barber shops, trendy cafes, and well known stores like Hurley and Bamboo Blonde along this stretch. 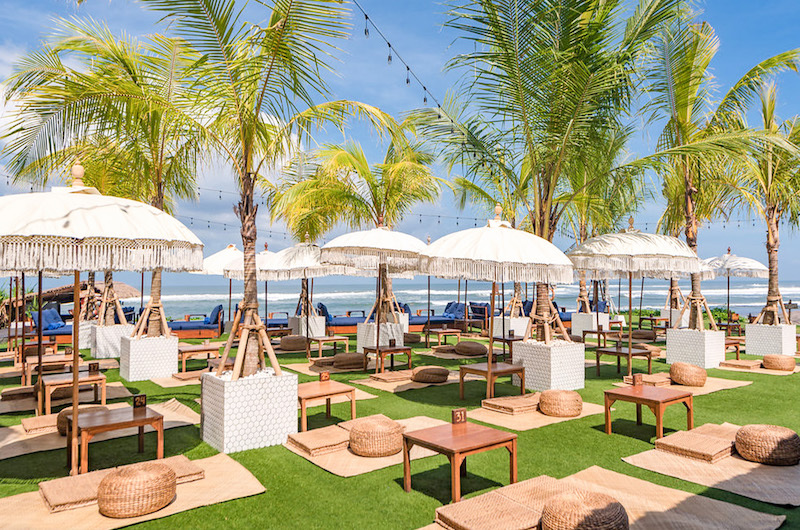 The haven for beach/ day clubs has always been know as Seminyak, until now. 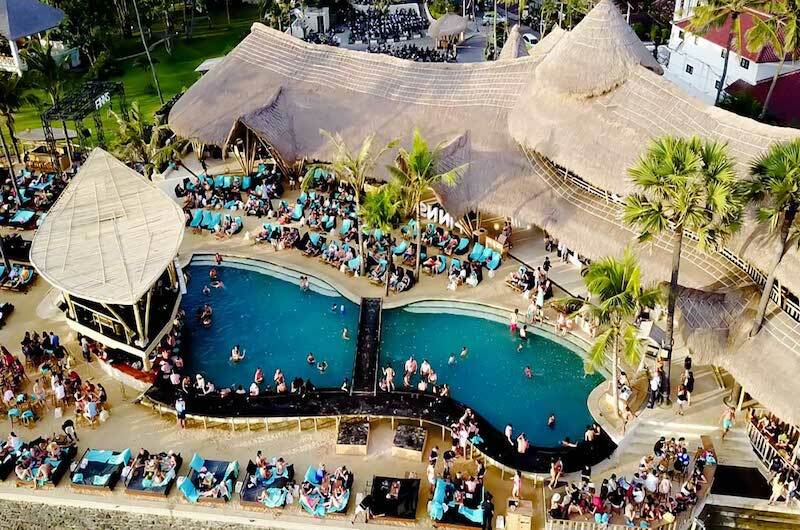 Canggu’s scene of locals and visitors alike all want to find the latest place to soak up the days sun whilst sipping on their cocktail of choice. Nearly all venues now come with a swimming pool to take a dip in and float on a lounge for an instagramable moment. 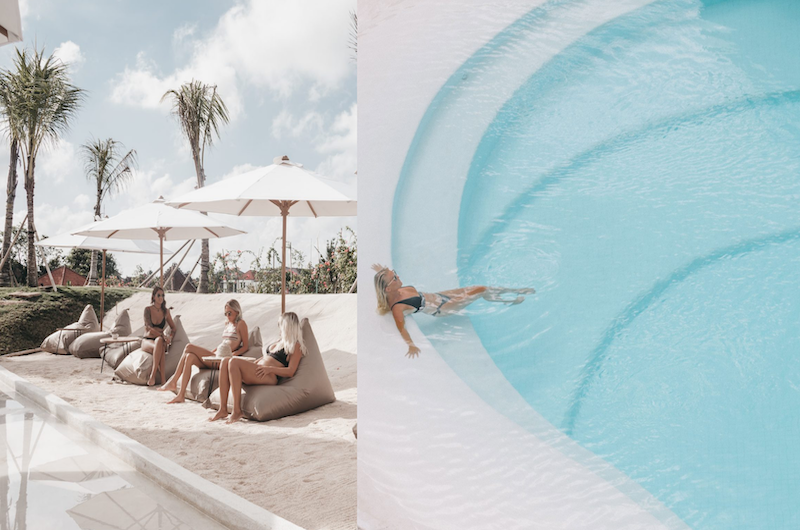 We recommend some firm favourites; Finn’s Beach Club (image below), The Lawn Canggu (image below) and Alternative Beach for go to day passes. When it comes to Canggu’s night life, the hipster hangouts are known to be Old Man’s, Luigi’s Hot Pizza and Konkrete (which has a skate bowl and live music). Looking to get the kids out and about for the day and exhausted some of that 24/7 energy. 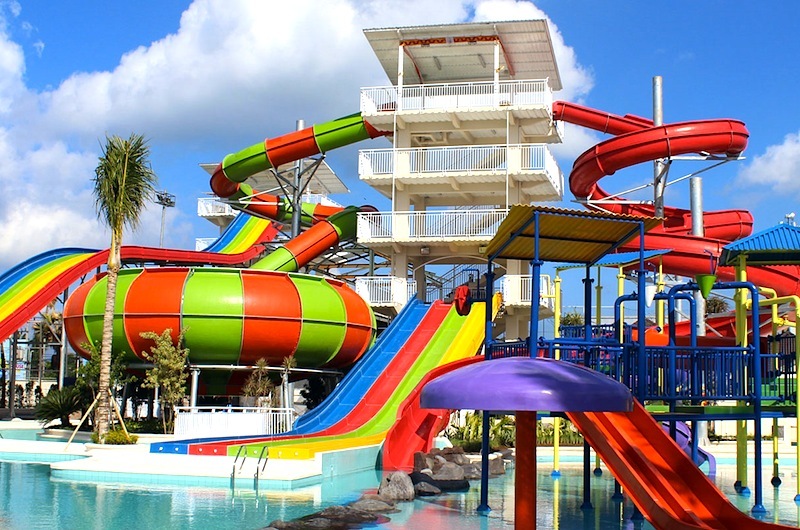 Splash water park in Canggu at Finn’s Recreational Club is our go-to recommendation. It’s not only fun for kids though! Six world class slides with minimal wait times, an emphasis of cleanliness and customer service. Offering hours of fun, access to Finns Recreations Centre and tasty dining options it’s a no brainer to spend the day at Splash! Canggu is known for being one of the surfing hot spots of Bali. With surf breaks from Batu Bolong to Echo Beach – even though now more crowded than it one was, all you have to do is brave the drive across the Canggu shortcut to know nearly even second person is heading to the beach for a surf. 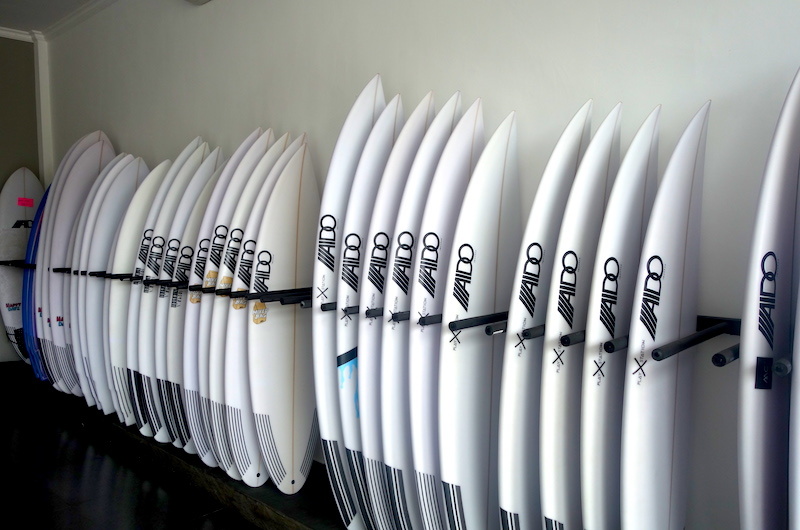 If you are looking for a new board, we recommend visiting Aido Surfboards Bali (with custom shaping done by Adrian Wheeler – originally from Sydney AUST) located near Jalan Pantai Berawa. 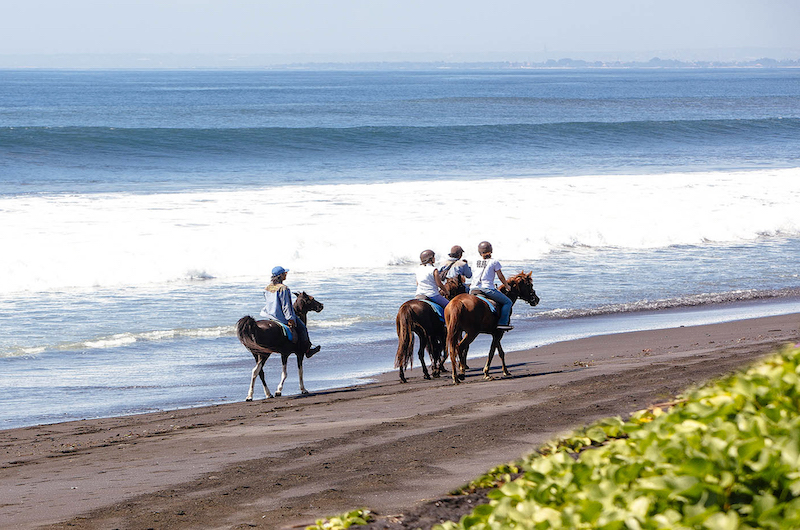 If surfing is not your thing, and a ride along the beach horseback is more your tone, then we can arrange this experience for you. Soak up the tropical Bali sun rays and let the ocean breeze wash your face as you spend an afternoon trotting along Canggu Beach, reconnecting with nature and one of the natural world’s most intuitive animals. 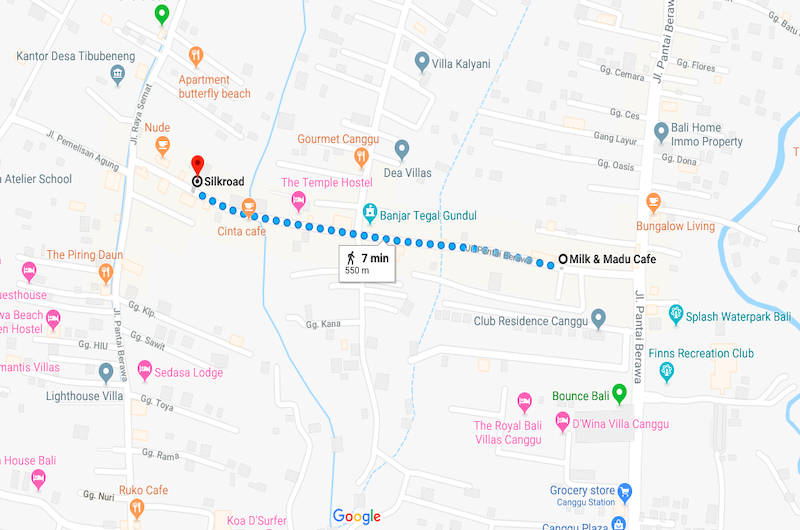 Of course to maximise our 5 reasons why we recommend staying in one of the many Canggu villa options, suitable for couples, families, groups or special occasions. 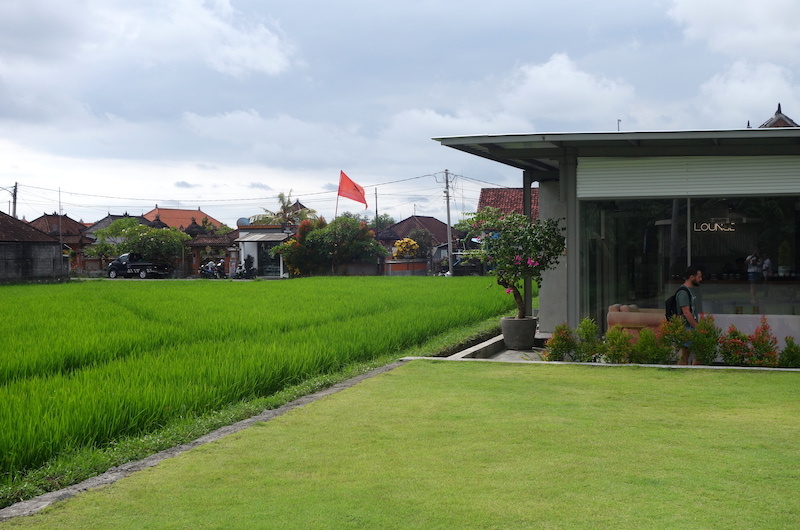 Next PostLarge villas in Bali – perfect for larger groups and events.